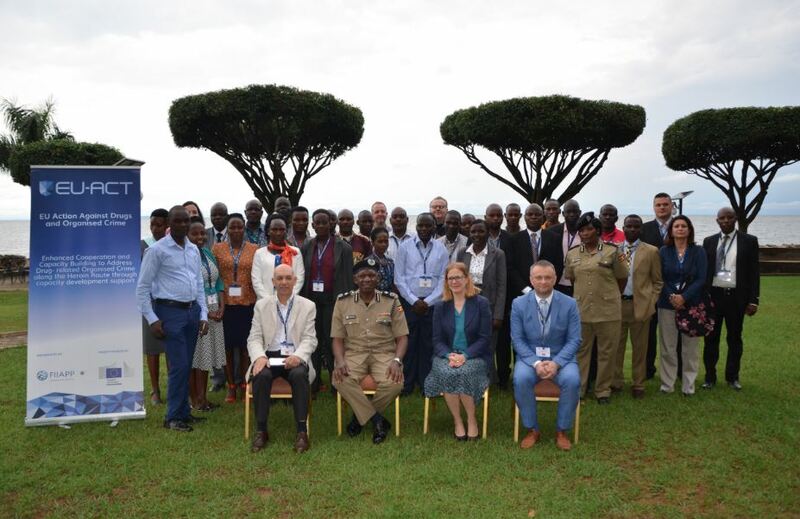 KAMPALA – The Director of Criminal Investigations, AIGP Grace Akullo has commended the European Union for their efforts in the fight against drug trafficking in Uganda. In a message read by Deputy Director, Senior Commissioner of Police Joseph Obwona during the closing ceremony of a three-day workshop on passenger profiling at Protea Hotel in Entebbe, she said profiling will help in tracking traffickers easily both in departures and arrival. Ms. Akullo said that drug traffickers are highly organized, not bound by the borders in their operations and have all the money it takes to transact business adding, it takes highly trained, committed and professional officers to fight the crime. “I am with confidence that this training has equipped our officers with extra skills to fight drug trafficking,” she said. She revealed that most of the drugs that are trafficked do not originate from Uganda. “Some come as far east and others some South America. These drugs are brought by passengers many of whom are not Ugandans. When drugs reach Uganda, they are repackaged and sent to destination countries. There is a need to have a mechanism of tracking the movement of suspicious travelers. This workshop, therefore, came in handy to equip these officers with more skills to detect suspicious travelers. Zarugaba Tinka the acting commissioner anti-narcotics, said the workshop has strengthened the officers in the anti-narcotics department with skills in the detection of passengers who are suspected to be narcotic traffickers to be arrested and investigated before the delivery of drugs.